Regional Sales Manager Michael Gillen joined Mistral in 2016. As our most senior representative in Scotland, he is the first point of contact for all bus and coach enquiries and is responsible for meeting the requirements of our large existing client base. 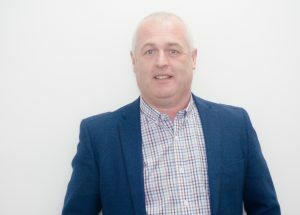 Michael joined Mistral with extensive industry experience having founded Scotland’s Gillen’s Coaches in 1990 with just one vehicle. By the time he sold the business in 2008, he had developed the enterprise to 17 vehicles, including buses, coaches and mini-buses. From 2008 and until he joined Mistral, Michael continued to work in the industry where he inspected and sold end of lease vehicles.